Goodby and Outdoor Hub sent the Roe Photo crew down to Stewart-Haas Racing to shoot a web spot and banner ads for Chevy Outdoors. We shot Tony looking like he was at an FLW event signing largemouth bass. 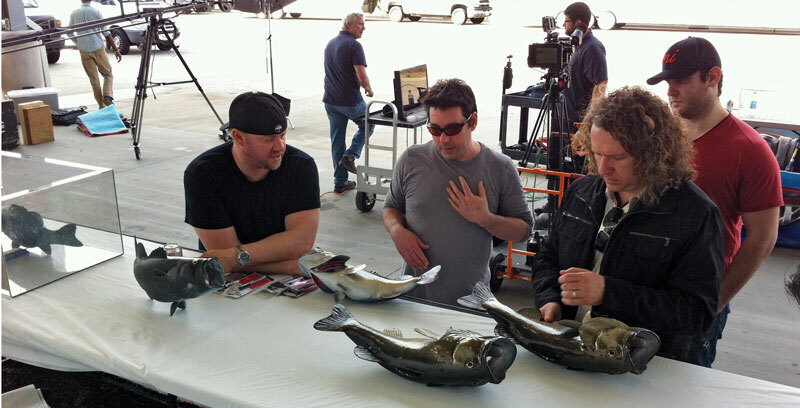 Tony Stewart was great about handling the fish being an angler himself. We also had Pro Angler, Luke Clausen, for the humorous banner ads. The crew did a great job hustling to get the spot, plus all the banner ads, plus radio, all done in one day. It was a team effort between the art directors from Goodby, Brad Phillips from Black Sedan Productions and Roe Photo. No fish were harmed in the making of this commercial.